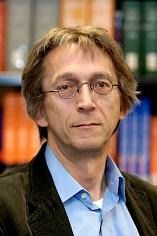 Jan van Ours (1954) is professor in Labor Economics at the Department of Economics, Tilburg University and Professorial Fellow at the Department of Economics, University of Melbourne. He is also CEPR Fellow, CES-ifo Fellow and IZA Fellow. In 1996 he was awarded with the Hicks-Tinbergen medal of the European Economic Association (joint with Geert Ridder). His current research is on labor market policy, unemployment benefits, immigrants and the labor market, and illicit drugs. He teaches Labor Economics and recently published the second edition of the text book The Economics of Imperfect Labor Markets (joint with Tito Boeri). In 2009 he was the President of the European Society for Population Economics. Since 2011 he is President of the European Association of Labour Economists. Jan van Ours joined CReAM as an External Research Fellow in March 2014.